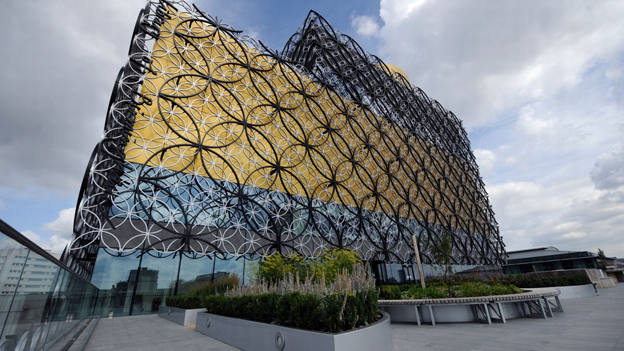 The Library of Birmingham will open for just SIX hours every weekend after the upshot of savage cuts was revealed. The £189 million building will no longer open on Sundays after April 19 when cost-cutting measures are brought in to reduce its hours from 73 a week to just 40. The landmark building will open from 11am until 5pm on Saturdays and its doors will be locked for a full 42 hours straight every week before people are let in again at 11am on Mondays. Steve McCabe, the Labour General Election candidate in Selly Oak, said it was a ridiculous situation which needed addressing. He said: “I think it is a real disaster to have a brand new major building like this and have the hours cut. “What it needs is a funding package to support it but we have had the double whammy of being left the building by the previous administration without the funding and then seeing the Government chop the grant. Now we have this ridiculous situation. The cut in hours at the library was revealed earlier this year and will see up to 100 redundancies. The library, which opened to great fanfare in September 2013, will have £1.3 million cut from its budget. Presently, it is costing the council £22 million a year – more than £60,000 a day. It represents a fast and embarrassing fall from grace for the library which was opened by inspirational teenager Malala Yousafzai. The result has been an outbreak of finger-pointing, with Birmingham’s Labour group blaming predecessors for failing to secure private sector backing and opposition Tories saying they would keep the library open for longer hours. However, the result is Birmingham is left with a principal library which is open for fewer hours than all other major UK cities. Libraries in Liverpool, Bristol, London, Glasgow, Sheffield, Leeds and London all open for more than 40 hours. Meanwhile, the Wolfson Centre for Archival Research will be open from Tuesday to Saturday between 11am and 4pm. This will be reviewed at the end of May. It is understood the library’s opening hours have been calculated based on when it is most regularly used, with Sundays being the quietest days. The library was the only attraction outside London named in a top ten by the Association of Leading Visitor Attractions. It was tenth on the prestigious list, alongside the likes of the National Gallery and Southbank Centre, after attracting more than 2.4 million visitors in a year. It drew in significantly more people than London’s British Library, which had 1.6 million visits, but opens 62 hours a week, including on Sundays. Standing against Mr McCabe in Selly Oak in the May 7 General Election are Conservative Alex Boulter, UKIP’s Steven Brookes, Liberal Democrat Colin Green and Clare Thomas of the Green Party.